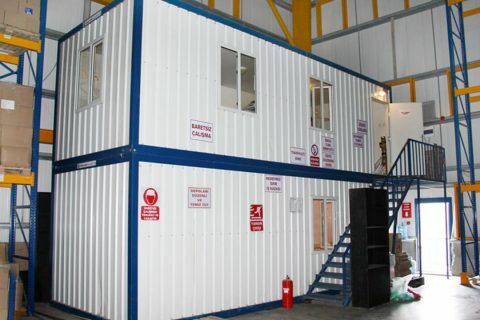 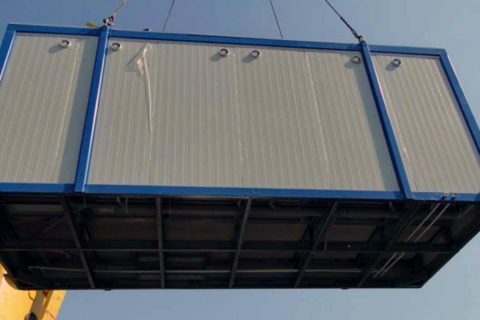 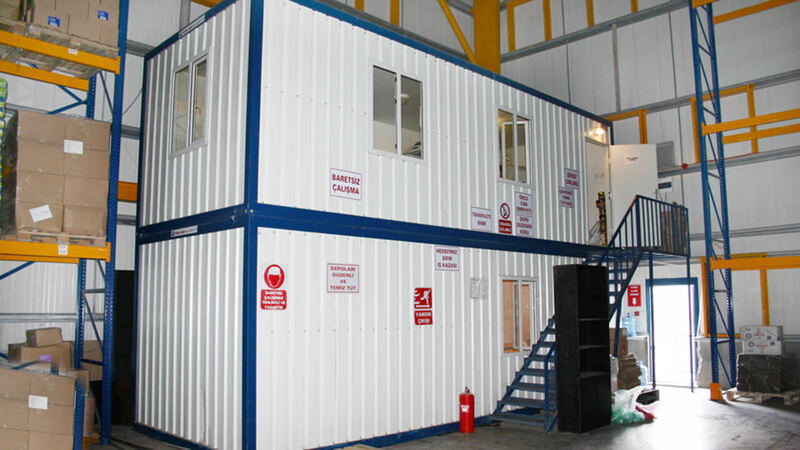 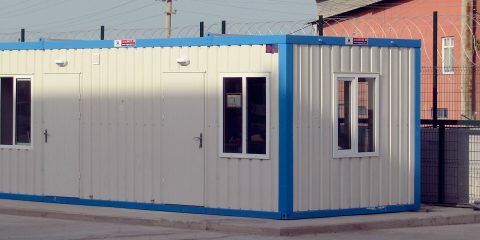 Containers, being one of the indispensable needs for worksites, are preferred based on all such reasons that they are economic and practical, and can be manufactured both quickly and easily, transported by loading on to a trailer whenever necessary, and insulated according to the intended climatic conditions. 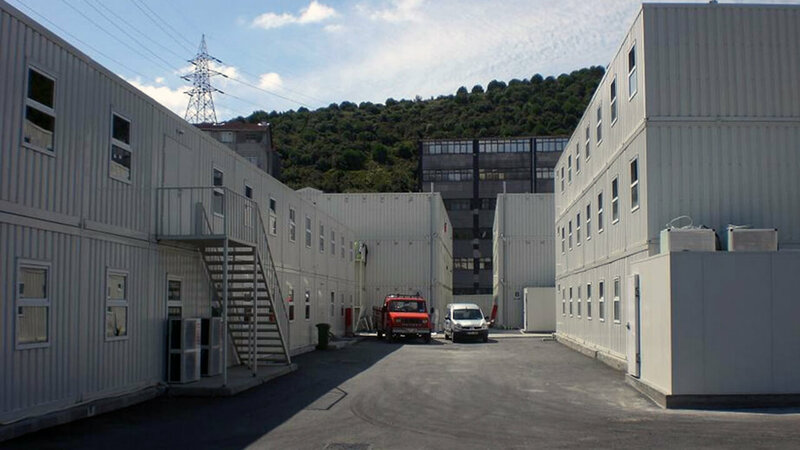 Our monthly production capa-city, as Özge Yapı, is 6.750 containers and we are delivering them to domestic and international markets. 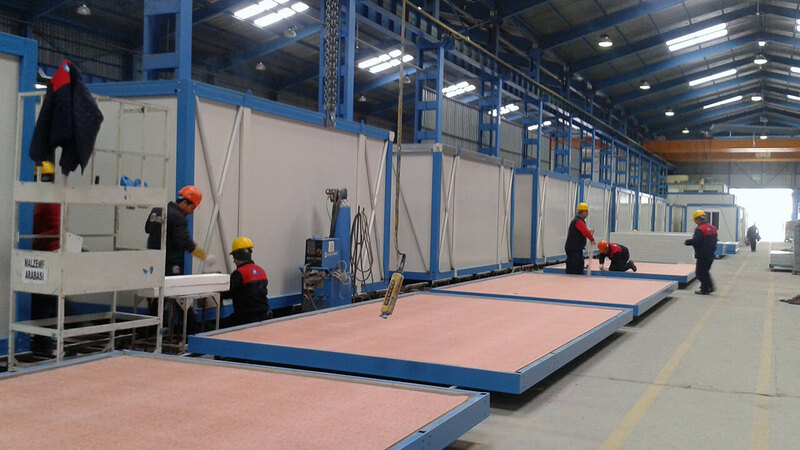 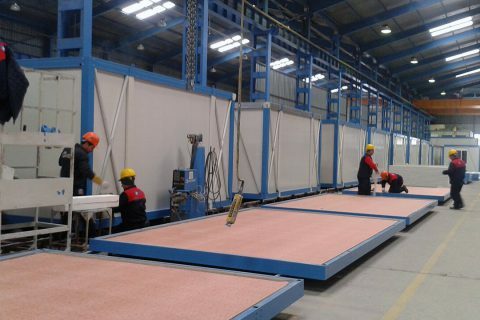 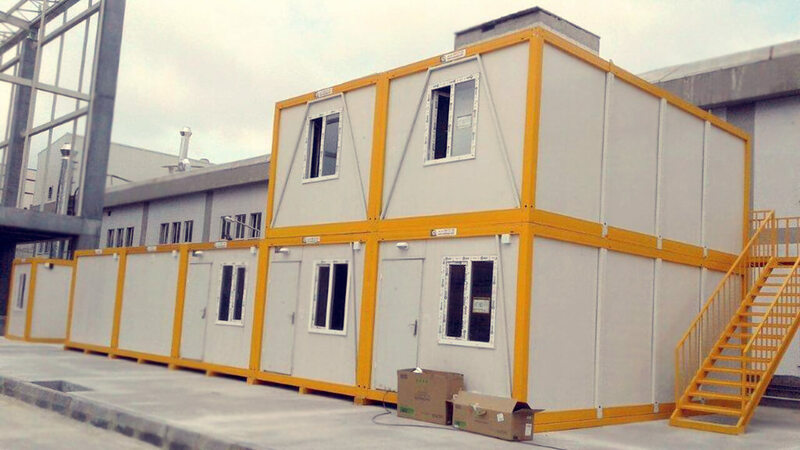 We produce suitable solutions to meet every kind of needs and demands with a strategy that monoblock (single piece) designs are intended generally for domestic market, and flatpack (demountable) designs for international market. 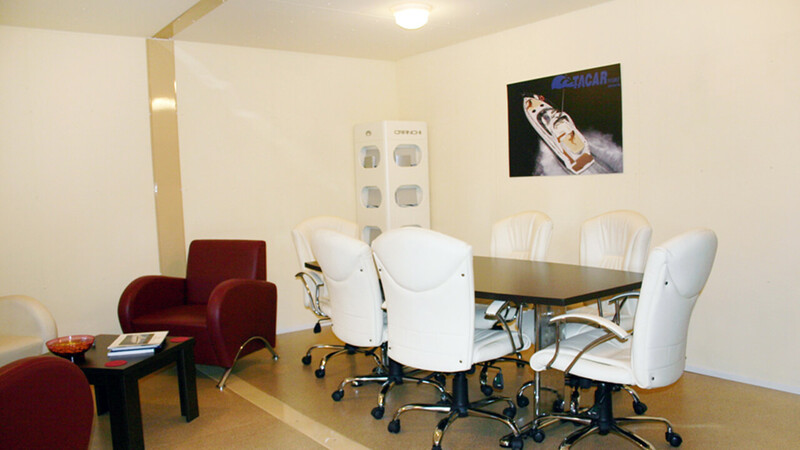 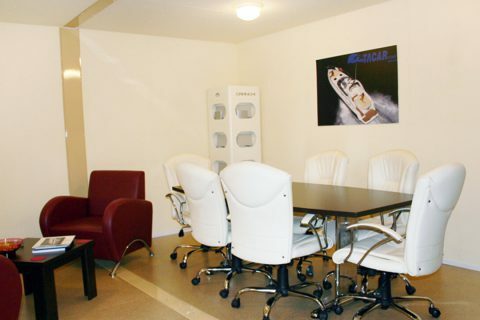 We have alternative solutions to satisfy every requirement. 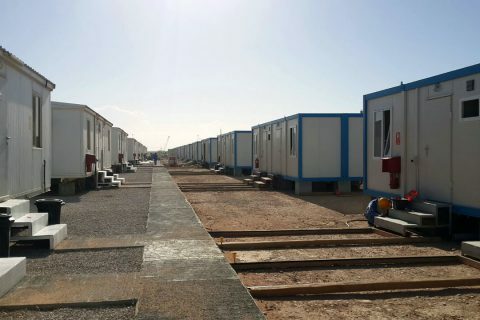 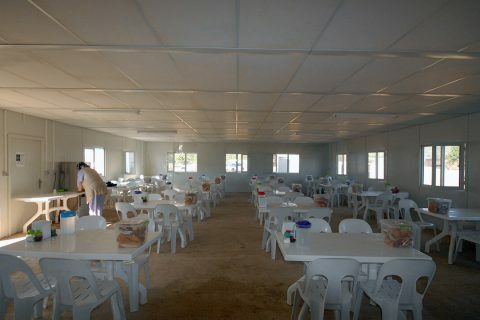 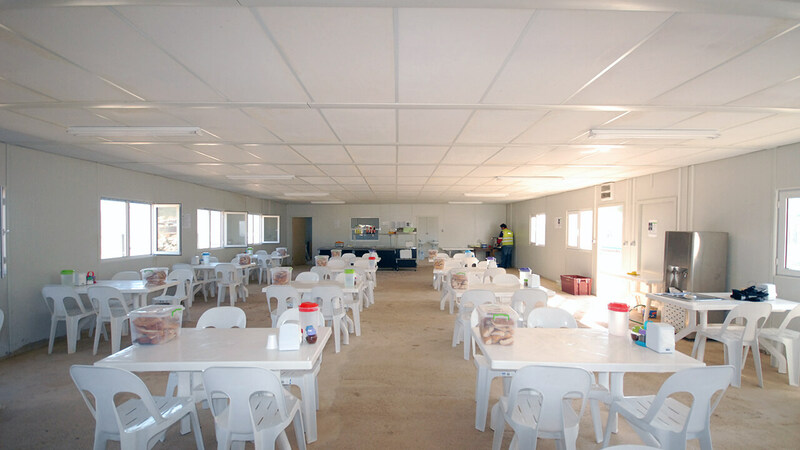 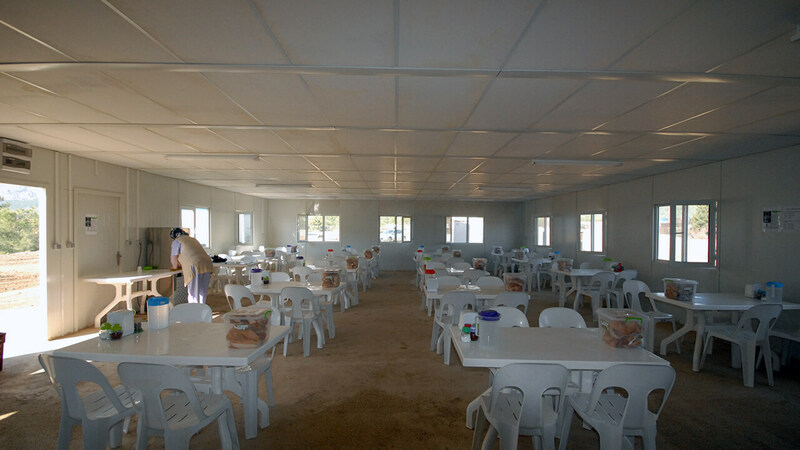 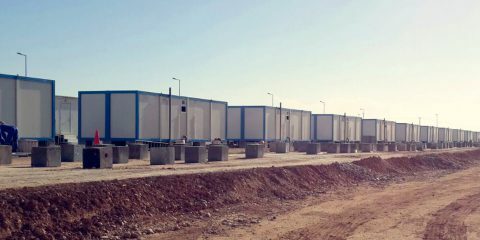 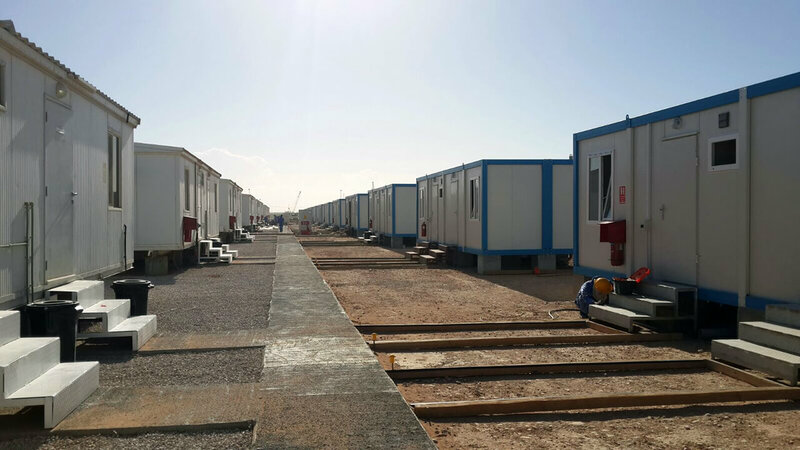 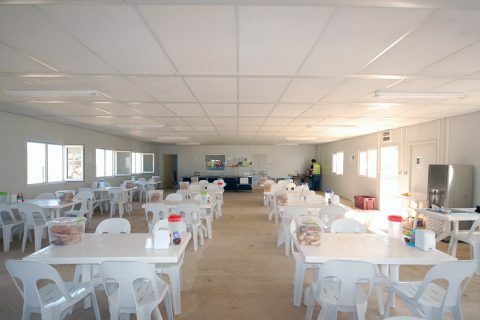 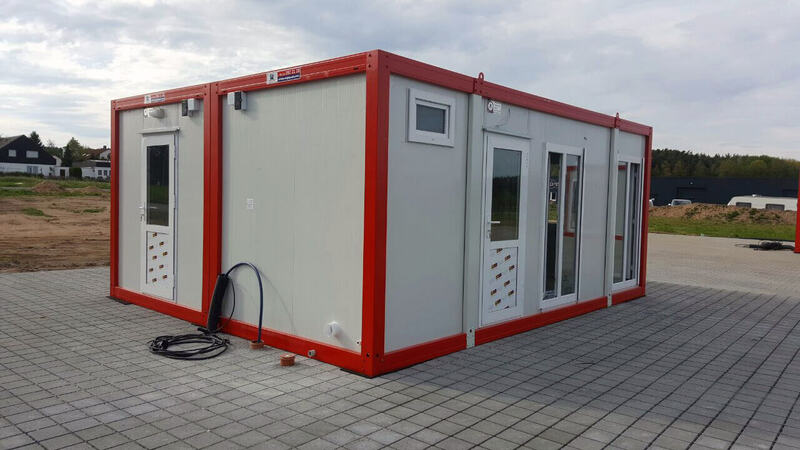 Our containers preferred and used in workers and petroleum camps, military camps and refugee camps, are ready to meet every kind of needs whether it is short-term mobilization or permanent settlement. 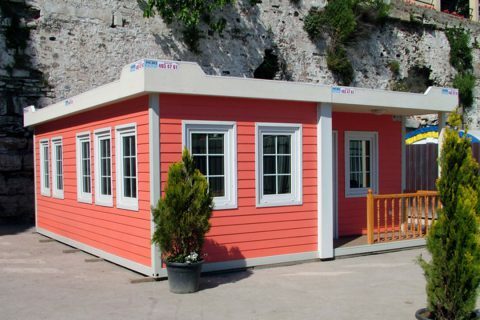 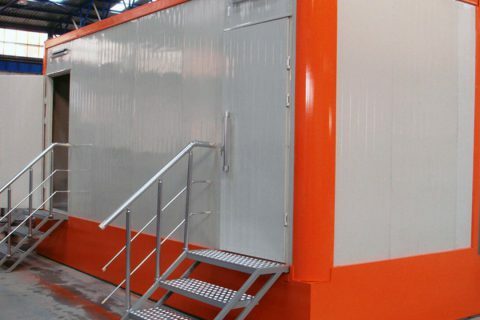 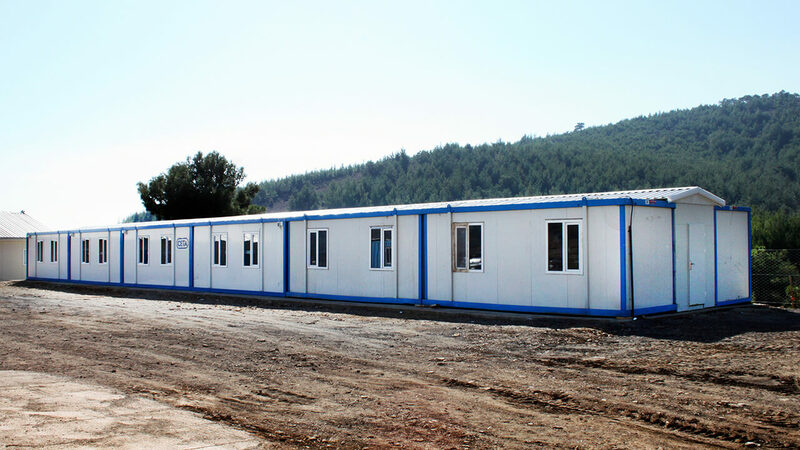 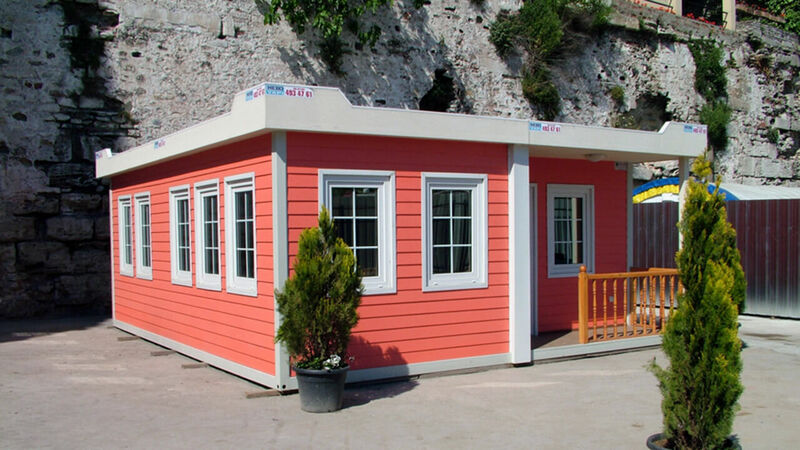 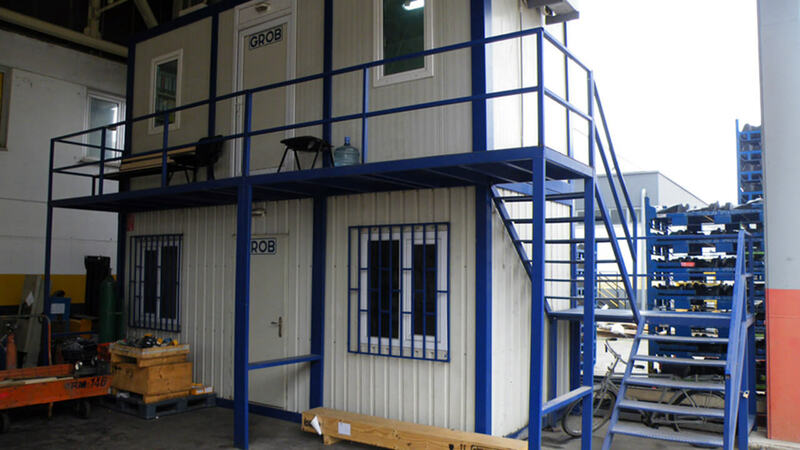 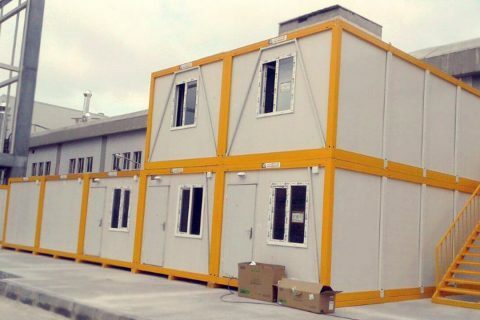 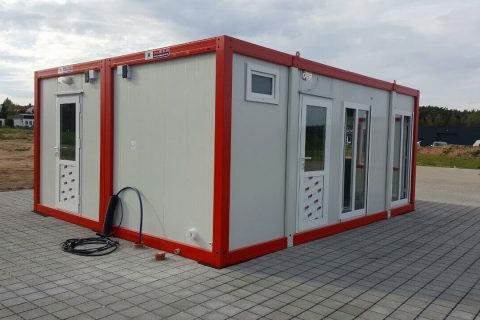 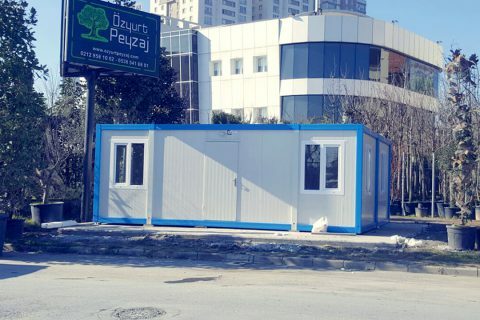 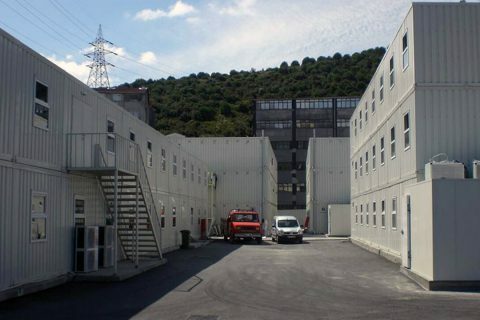 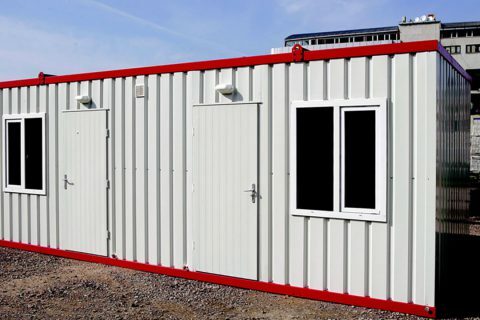 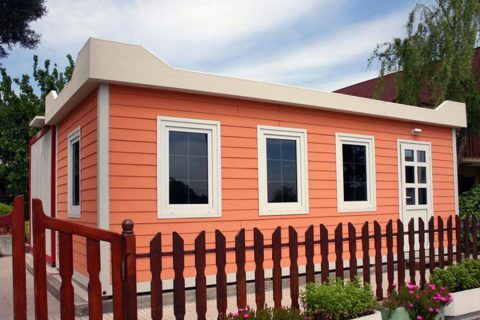 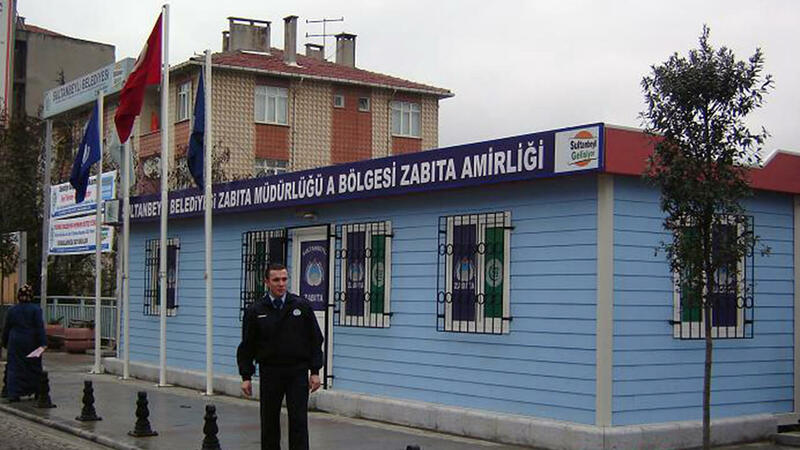 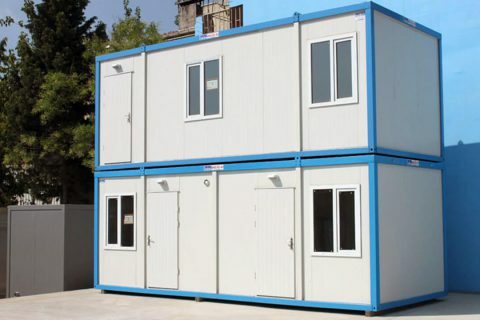 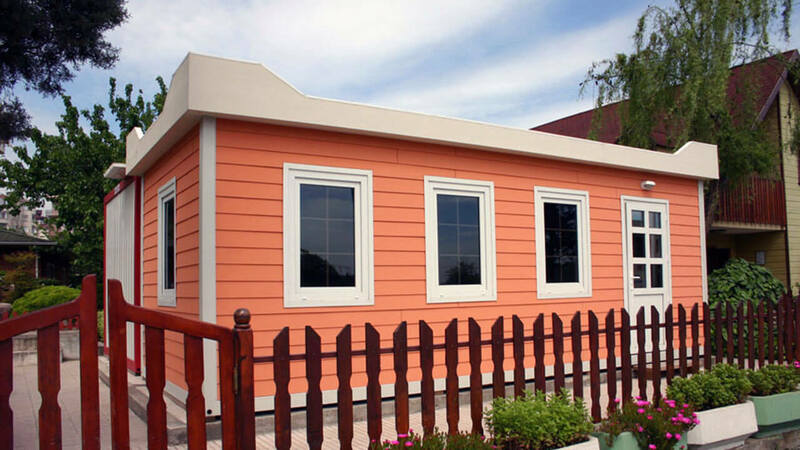 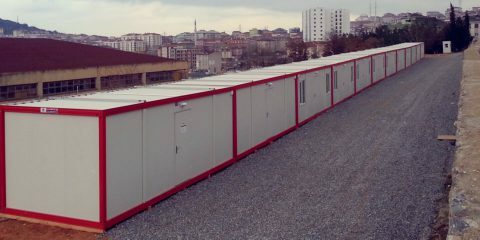 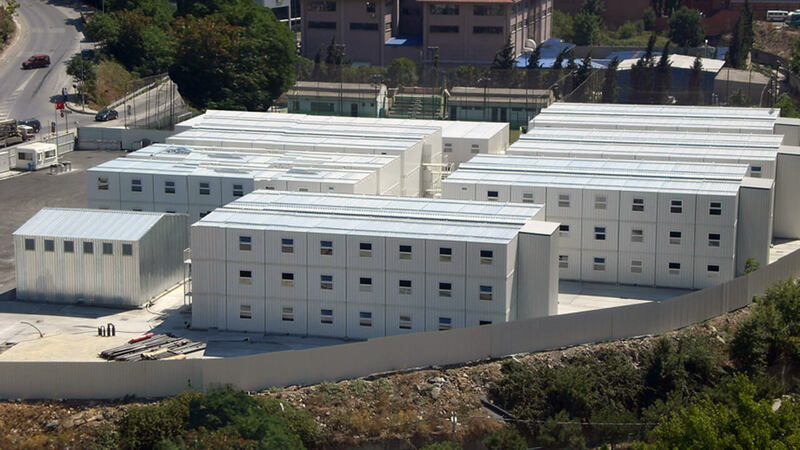 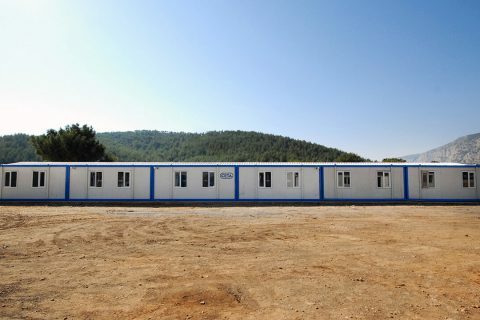 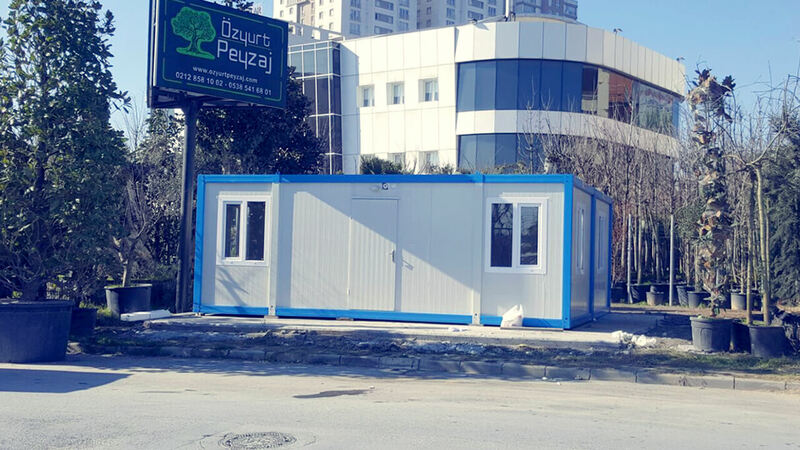 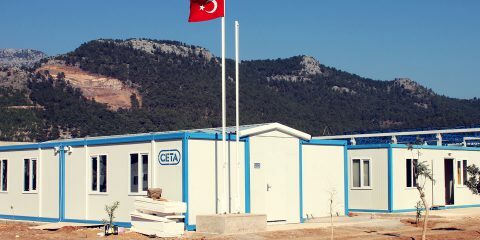 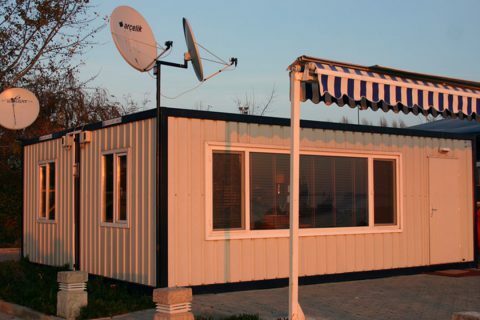 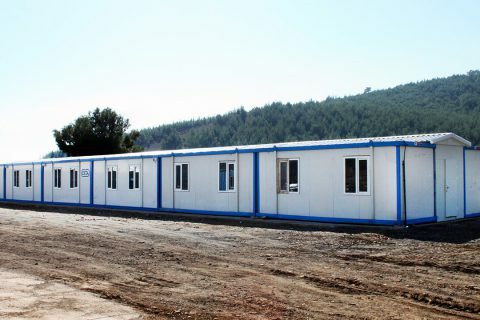 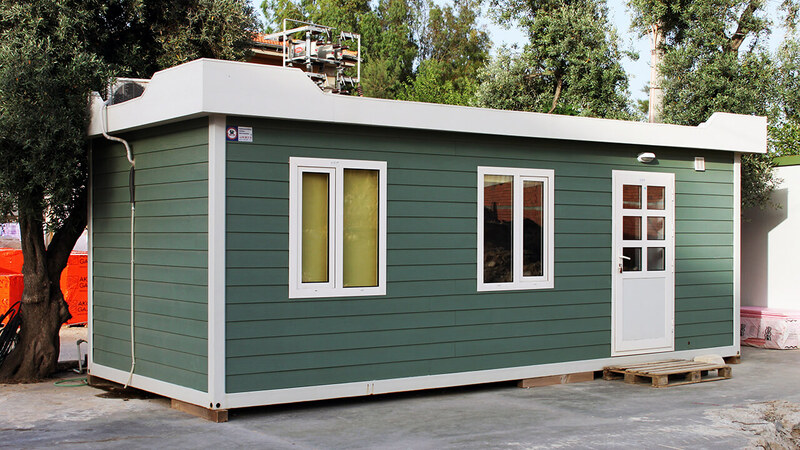 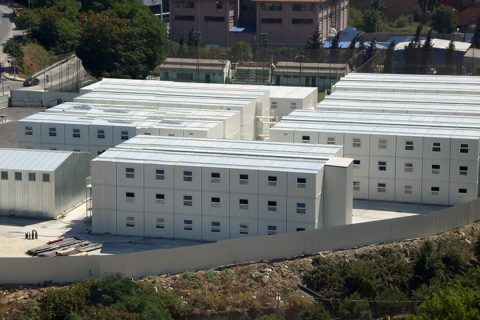 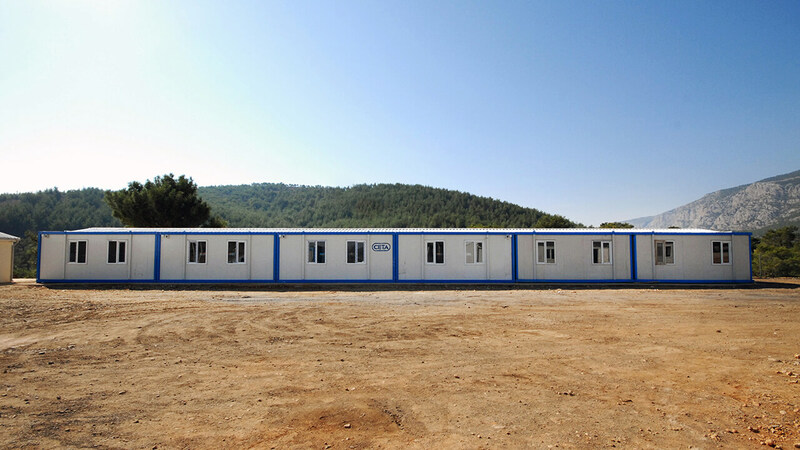 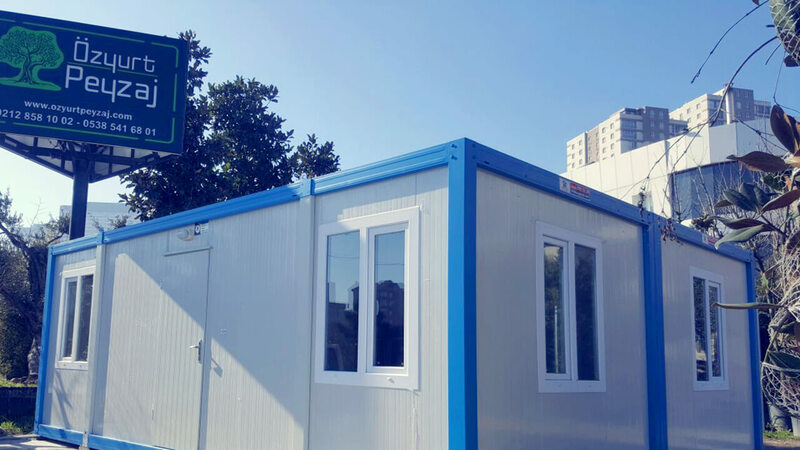 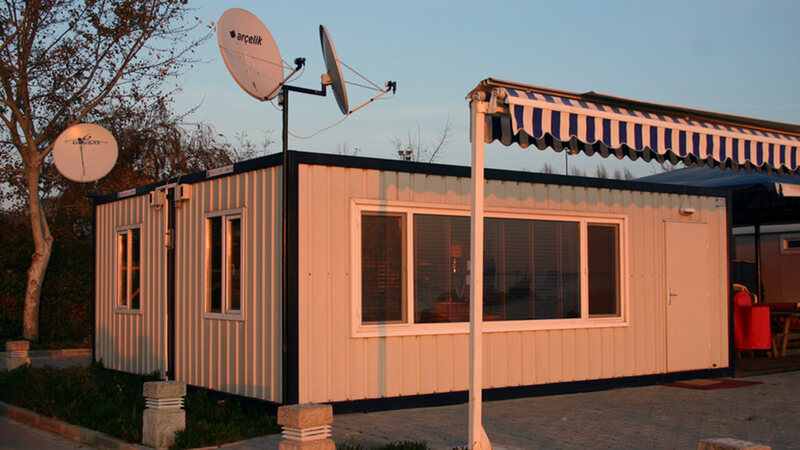 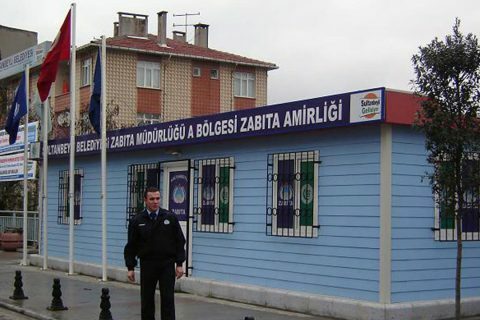 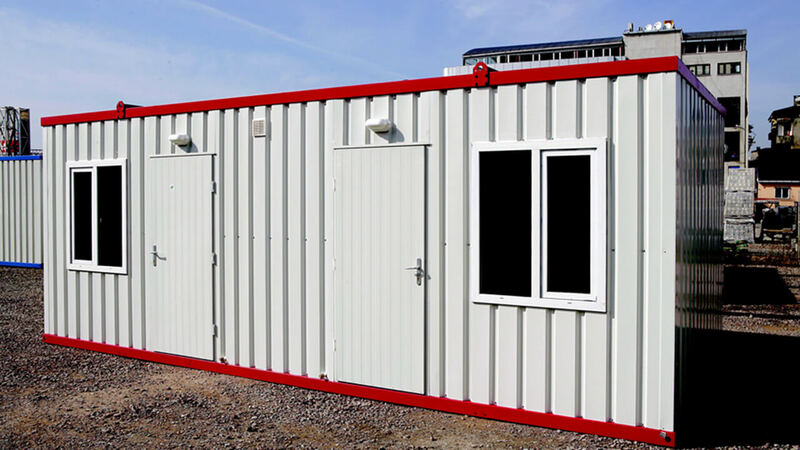 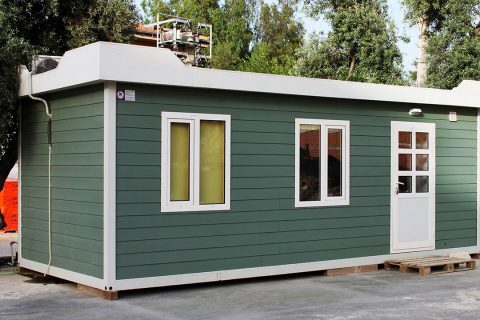 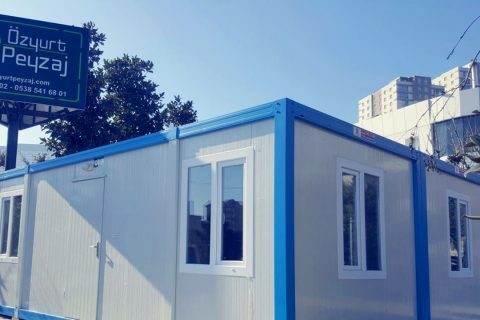 There is absolutely a container model in Özge Yapı to meet all of such needs as office, cafeteria, WC-shower, dormitories, infirmary, lodgment, mosque, etc. 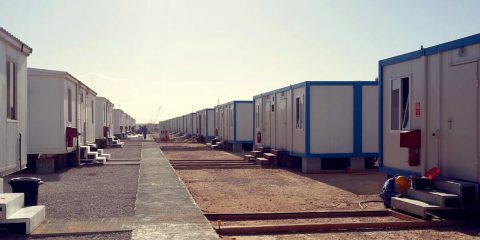 in the worksite area. 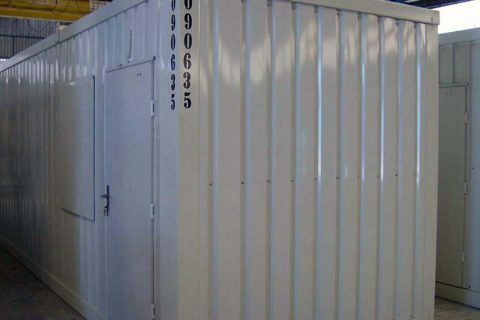 Our container products are assembled using only bolts and nuts for joining parts without welding process. 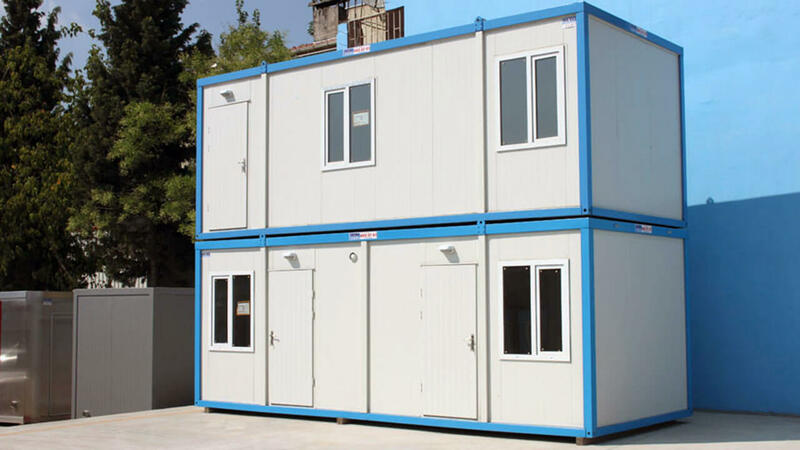 We have also modular container alternatives manufactured in various modules in addition to containers that can be used as one-piece. 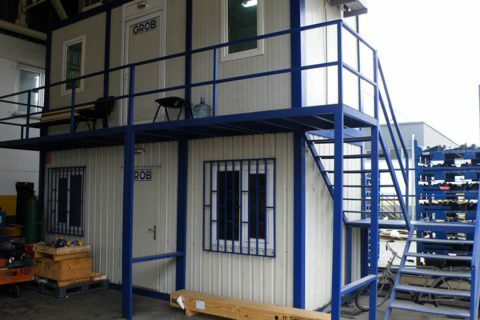 We have stair landing and roof options for the containers which you can use up to three storeys putting them one over the other. 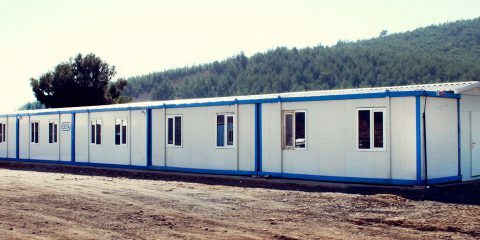 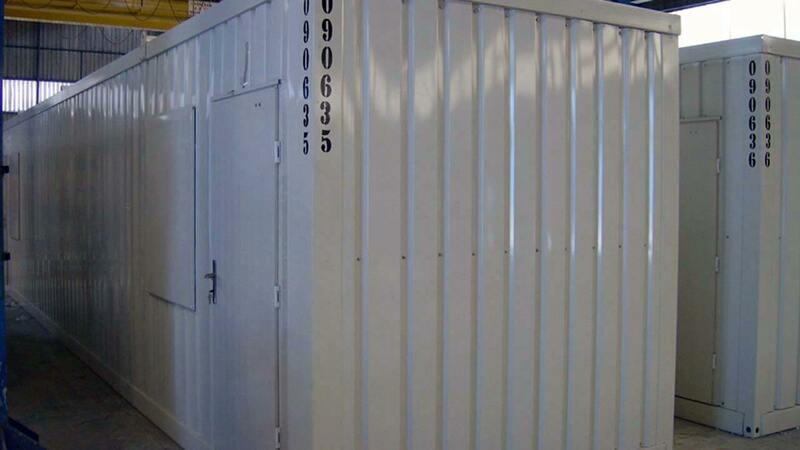 These containers are solution packages, in particular, employed for the international projects. 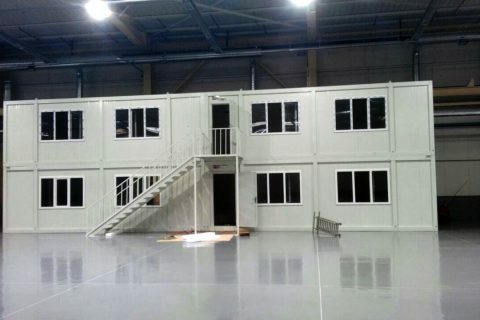 Flatpack containers made to comply with waterway and highway transportation are pretty advantageous for shipment. 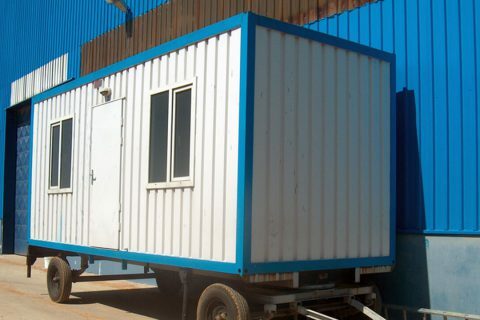 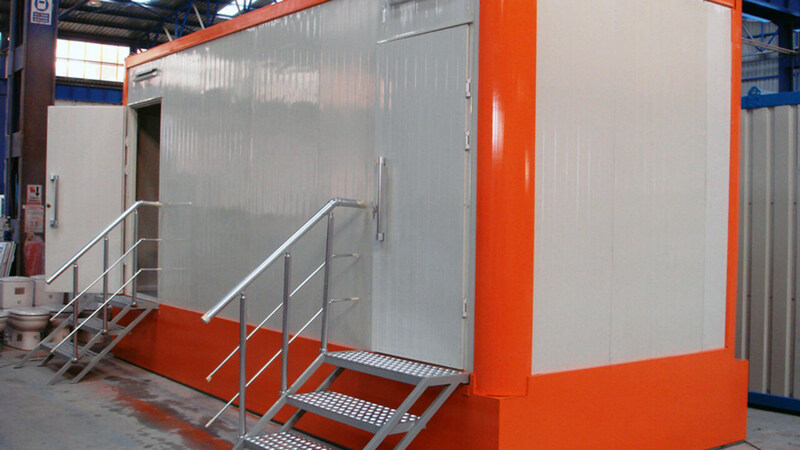 Ten units of 2.40*6.00 containers can be put in a single trailer. 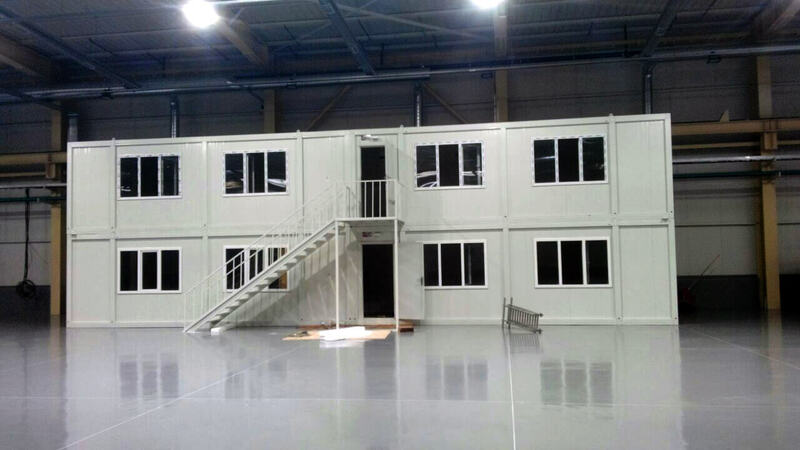 Our flatpack containers that can be easily assembled in place are shipped to more than 70 countries. 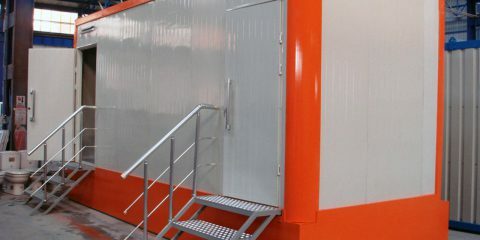 Technical specification for container with Hekim panel.